Live lavishly. Entertain effortlessly. An estate worthy of global attention. Nestled in the coveted community of Crestview, this stunning turn key home rests on 2 acres with incredible views from every room. Pass through a courtyard and notice a stunning iron door leading to the window lined two story foyer. 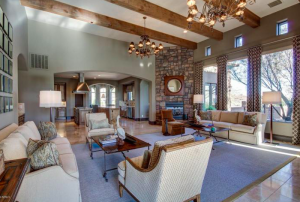 Enjoy a oversized open great room with beamed ceilings, walls of glass, and a towering stone fireplace. The chefs kitchen will inspire culinary mastery with double islands, incredible carpentry, two oversized GE Monogram refrigerator/freezer, gas cooktop, walk in pantry, & breakfast nook. Treasure formal moments from the dining room with its own fireplace, courtyard access, & Red Mountain views. Designed to compel rejuvenation, the master is a true suite with its own sitting room, wet bar, wood plank flooring, impressive ceiling details, circular window lined lounge area, freestanding tub, colossal shower, his/hers vanities with makeup table, and stunning views. 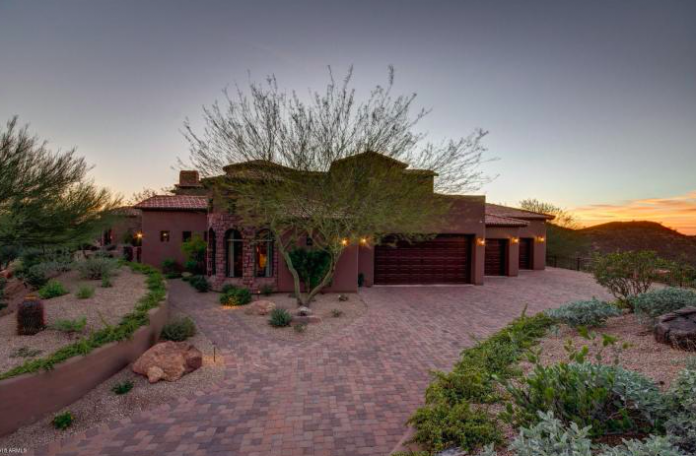 Enjoy three remaining master bedrooms and a massive guest house with private garaged entrance. An incredible office and movie theatre make this the ultimate home for any lifestyle. 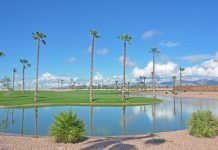 The backyard is a true escape for any Sonoran season with a massive negative edge pebble tec pool, spill over spa, covered patio, view deck, BBQ Grotto, and fire pit. Hidden features of this home include multiple view decks, central vac, intercom system, 2 laundry rooms, water softener, and oversized 4 car garage. Furnishings included!